We were required to do things the "right" way and had to go through many levels of approval before telling the world about our products. And that was OK for me at the time. Because I was marketing behind the "safety" of a corporate brand - it didn't matter if it didn't light me up. It was OK to play it safe because it wasn't "me" I was selling. Fast forward several years and I became a brand new health coach trying to get myself and my business known. While I considered myself a rather experienced marketer, this time I was marketing "me." And that was a whole new experience! I was terrified to get "out there" and share more about myself. My marketing attempts felt forced and icky. I was so worried about "bugging" people that I got stuck and couldn't do anything. Requires us to be visible. Scares the crap out of us! And yet we gotta do it. We have to find a way to grab the attention of our potential clients. Without a gateway to talk with them, we are left with a lot of closed doors in our faces or unanswered phone calls. And that leads to a very unsuccessful business. I really had no clue how the heck I was gong to get "out there." I hired some coaches to help me figure out this "marketing myself" thing. And I tried implementing some of what they taught me. And it felt horrible. My husband look at my stuff and said, "This isn't you!" and I had to agree. I wasn't marketing in a way that felt authentic. I wasn't showcasing ME in a relatable way. I can take what I am learning and put my own spin on it. I began to infuse "me" in my marketing. I followed the structure but did it "my way" and in a way that felt right for me. I became more and more comfortable with being visible. I began to pull out my old marketing skills and sprinkled the best-of-the-best into what I was doing. These days have a launch plan - but it's Heather's launch plan - one that works just for me and feels so right! Register here to get all the details. 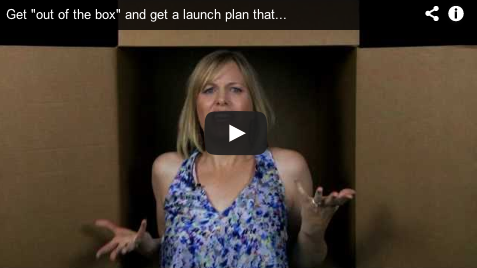 Let's give you enough structure to get going with a launch - and then take the "ick" out - together. P.S. This not-to-be-missed training is on Tuesday! Register here. Isn't it time to stop coaching your cousin's best friend's sister?